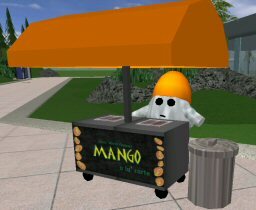 Mango a la' Carte is a SW City's favorite street vending mango merchant, dotted all throughout SW City. Place the base object where the cart's center is. Front sign tends to get sunken into the cart sometimes, fix if needed.